What is the biggest premium in today’s busy world? Time? Yes, perhaps, but if you really had to put a number on a value, it has to be space. With today’s busy lives, we spend more and more time fitting things in a Tetris like fashion around our small homes and flats, or workspaces. Goodmans have thought about this problem, and they have a plan. It is simple. 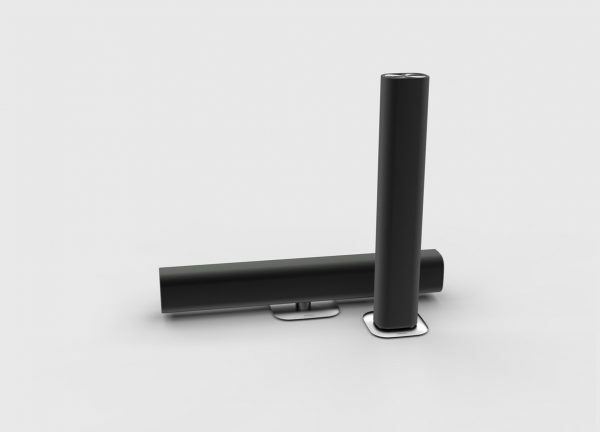 A small, light, but good sounding soundbar that can be used in both horizontal or vertical positions, allowing users to save on space, but not compromise on sound quality. So first thing’s first. How does it change orientation, and how well does it work in both modes? Before you ask, Goodmans have provided two ‘aspects’ on the remote, allowing you to choose between horizontal and vertical aspect. 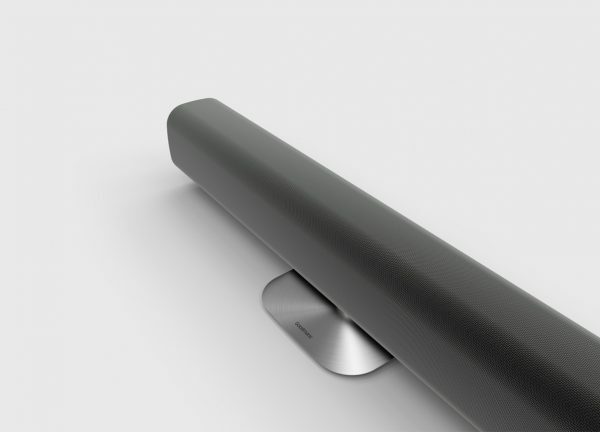 The device comes with a magnetic base, that attaches to a hidden metallic bit on the bottom of the soundbar when horizontal. It has a certain curve to it, and you have to play around with it a bit before you find the best way to rest the soundbar on the base. Vertical is a bit more tricky, mainly because while the instructions spell it out, a few pictures would have helped. You have to take the end panel out of the ‘plain’ end of the soundbar (the other end has buttons on it), stick it to the base (magnets!) and then insert the base stand into that end of the speaker. Once on, it provides a sturdy base. Took me a little while to figure it out, but I often go in head first before reading instructions, just to see how intuitive devices are. What initially seemed like a wobbly/fiddly device now sits sturdy in both horizontal and vertical aspects. And which aspect do I prefer? Vertical. Just sounds better somehow, though it isn’t very far from the horizontal. Now that we have got the whole horizontal/vertical thing out of the way, lets look at the device in more detail. What does the device offer? Bluetooth/NFC pairing, to listen to music wirelessly, AUX In, Co-Axial input, optical input, RCA line in. Compact package, with a remote control. As far as looks go, it is beautiful. Brushed metal finish means this will fit into any space, and a compact body with adjustable orientation means that space will never be an issue. Most of the control is via the remote, but the device can be turned on/off and volume adjusted via the main remote. Other than that, it does well to meld into its surroundings, leaving nothing but its sound in your ears. We must talk about the sound though, as that is what you really want from this. It gets a ‘not bad’ from me. I have gone through a lot of different music styles, and one thing has always shone. The treble. This speaker is somehow treble heavy, in both orientations, though the vertical sounds a bit more balanced to me. There is of course bass, and it works, but unlike most speakers, who are bass heavy, or balanced, this one seemed to be the opposite. The compact body does mean that you wouldn’t be expecting a lot of bass anyway, but somehow this speaker makes me miss it a bit. So while the sound on the speaker will surpass that of your television, or your average set of speakers, this will not replace your bigger sound-base, or hi-fi system. It retails for £99.00, and can be bought directly from the website.